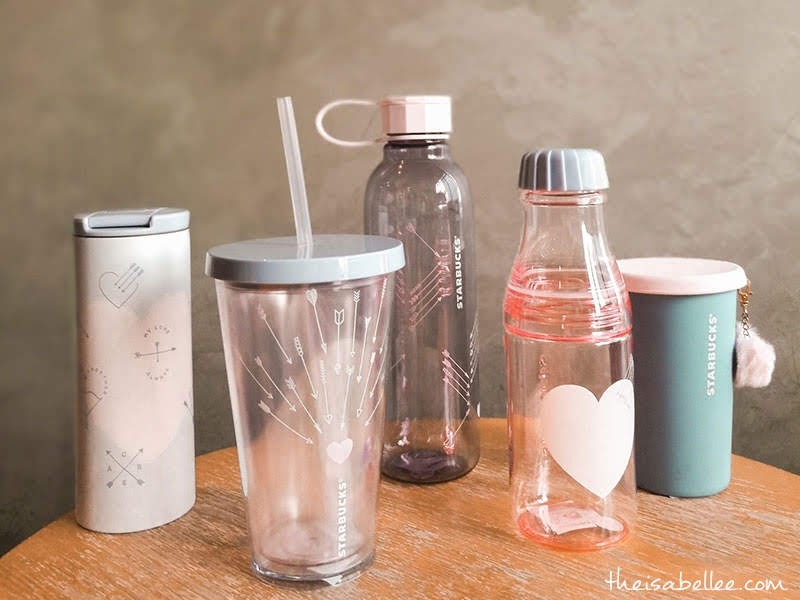 I have so much LOVE for the new Starbucks Teavana drinks! 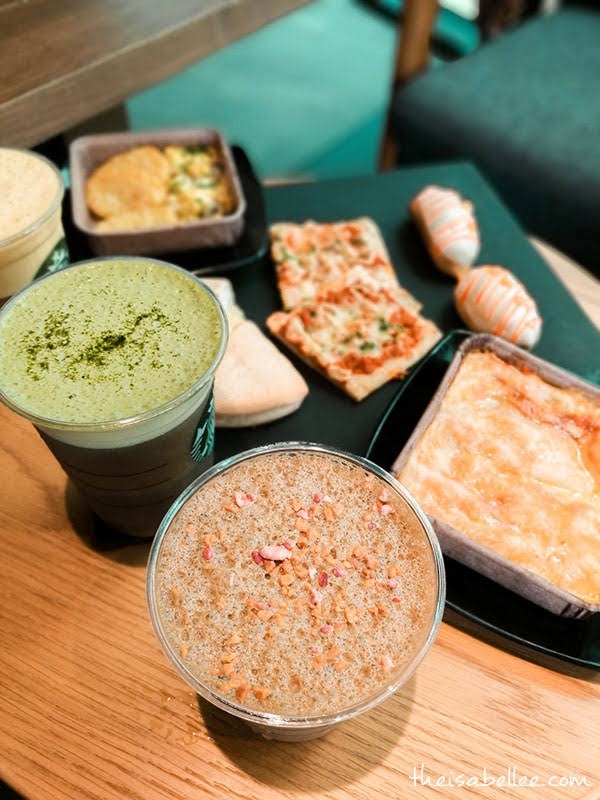 We were introduced to these 3 aromatic Teavana tea beverages topped with velvety dense Cold Foam. A wonderful collaboration between coffee and tea. 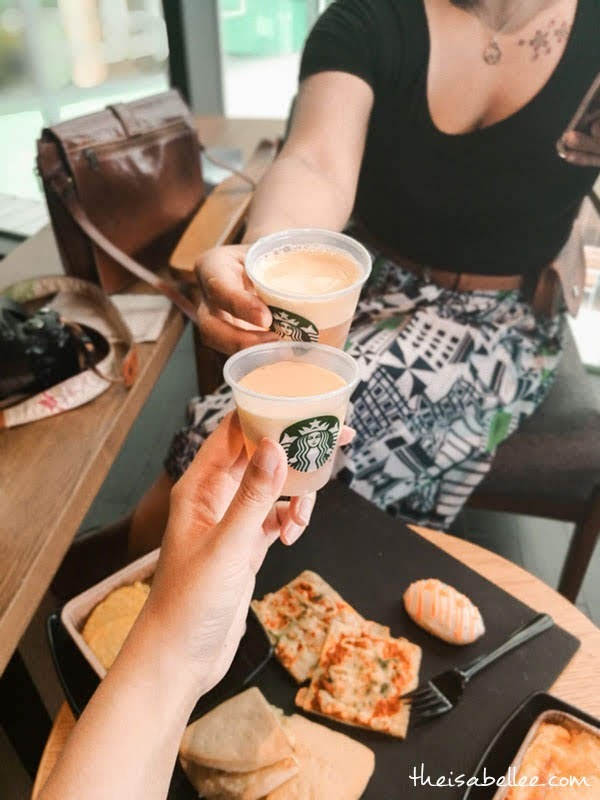 Sip the iced Americano by itself and let the delicious flavour fill your mouth and then try it with the matcha cold foam. I was surprised how much I enjoyed the Americano considering I usually prefer my drinks sweet. While the above had a more earthy taste, this beverage is sweeter with the sweet taste of mango passionfruit. Have fun with the 3 flavours: black tea, mango passionfruit cold foam and a stirred combination of both. Last but not least, my ultimate favourite! I've already had this several times since the release. First, the wonderful aroma will hit you and then the smooth, comforting taste. Ahh... Blended finely ground black tea with velvety steamed milk, delectable roasted chestnut sauce, and topped with a sprinkle of chestnut and sour strawberry bites. Absolutely delicious and not to be missed. 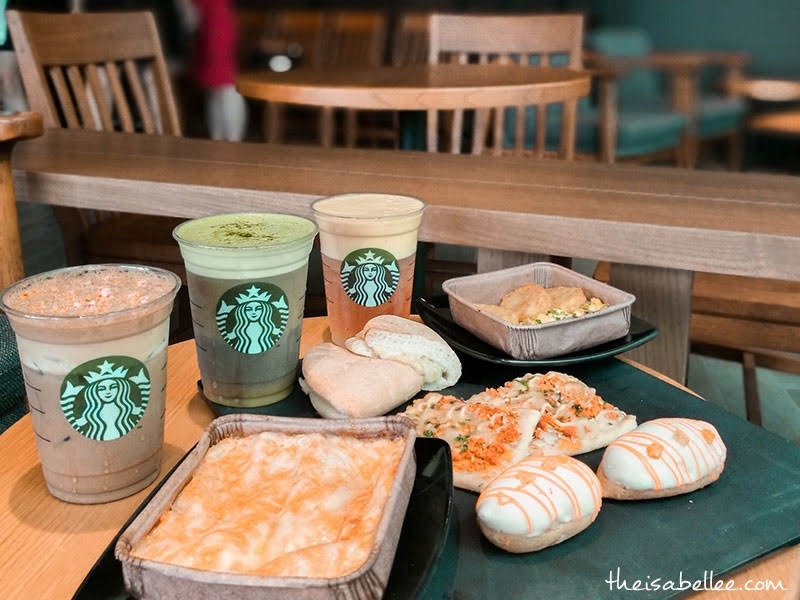 We had a lovely meal pairing the new beverages with the promotional food. I am crazy over the chicken lasagna - it was love at first bite. The chicken and cabbage foldover as well as tandoori chicken flatbread were delicious too. 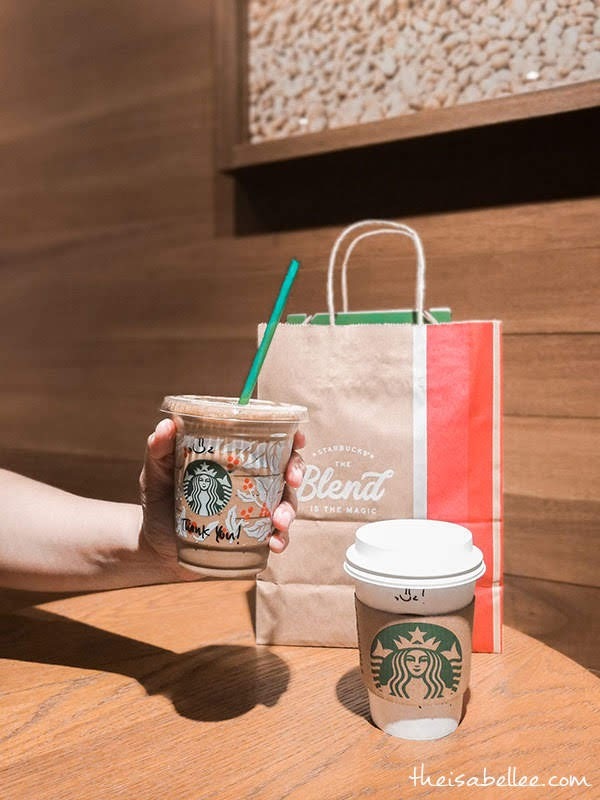 The Teavana Chestnut Black Tea Latte is yummy in both cold and hot but I prefer the latter as it's just so comforting especially on a rainy day. 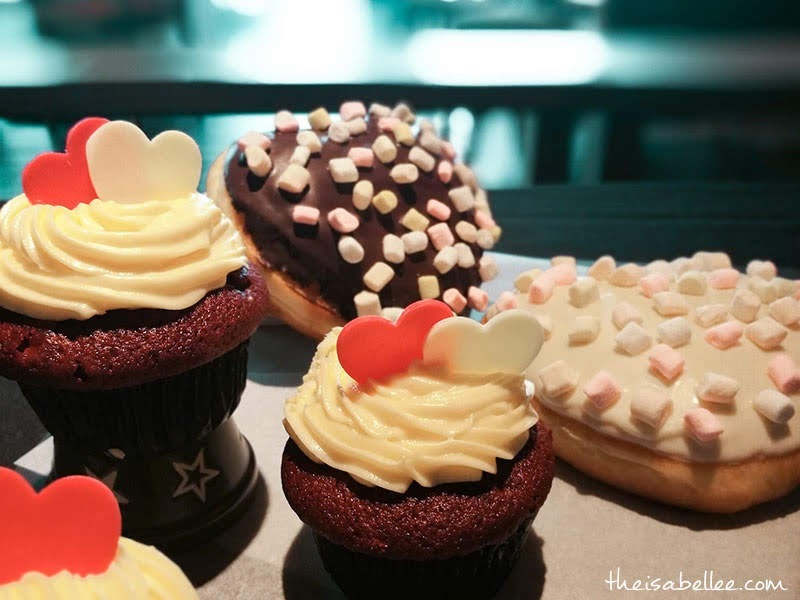 With Valentine's fast approaching, Starbucks has also introduced their Signature Heart Collection with the super cute Hearts of Luv Cupcake, Love Me Doughtnut and Joyful Doughnut (RM7.20-8.70). I think the love-shaped doughnut coating with your choice of white or dark chocolate is absolutely adorable!! Celebrate this Valentine's with a very sweet pastel purple range complete with hearts and arrows. I can already tell that the one on the right with a heart shaped pom pom will be very popular. 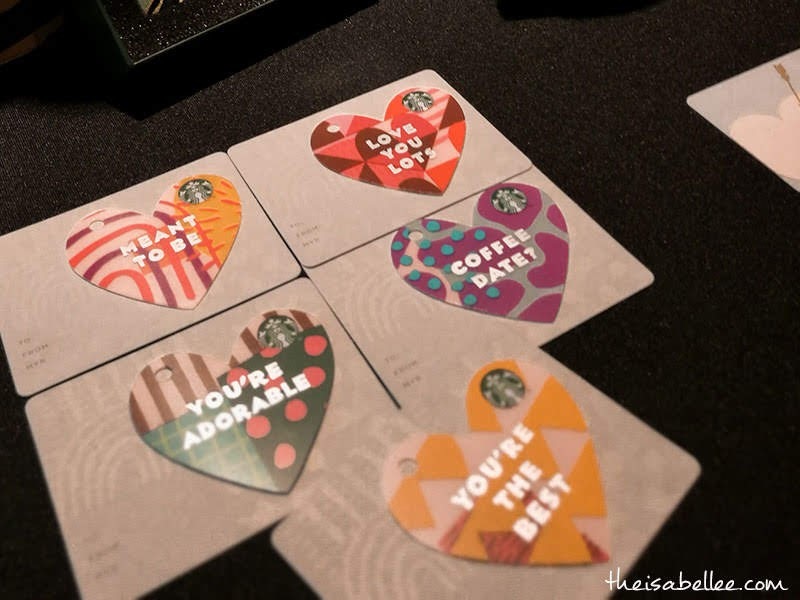 Compliment your loved one with a Heart Shaped Starbucks Card containing the message you want to convey! 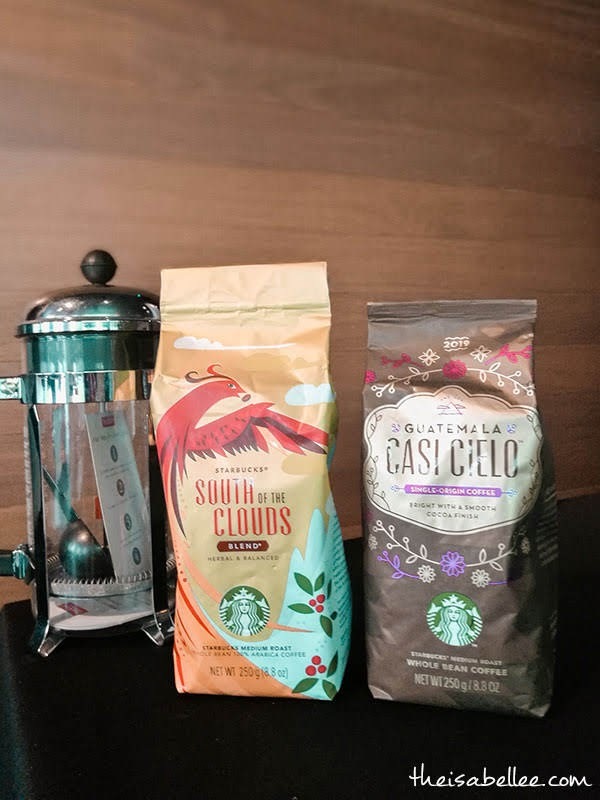 And that's not the end because Starbucks Malaysia has also introduced new and returning Starbucks Reserve Coffee Beans: New Peru Amazonas Huambo - a light body with high acidity and bright flavours of Morello cherry and sweet toffee finish. Sun-Dried Uganda Sipi Falls - lemon-line acidity with chocolate and caramel accents. Tanzania Muriba - High acidity and medium bodies with aromatic florals and notes of bergamot tea, lemon, and grapefruit.